New wishlist. 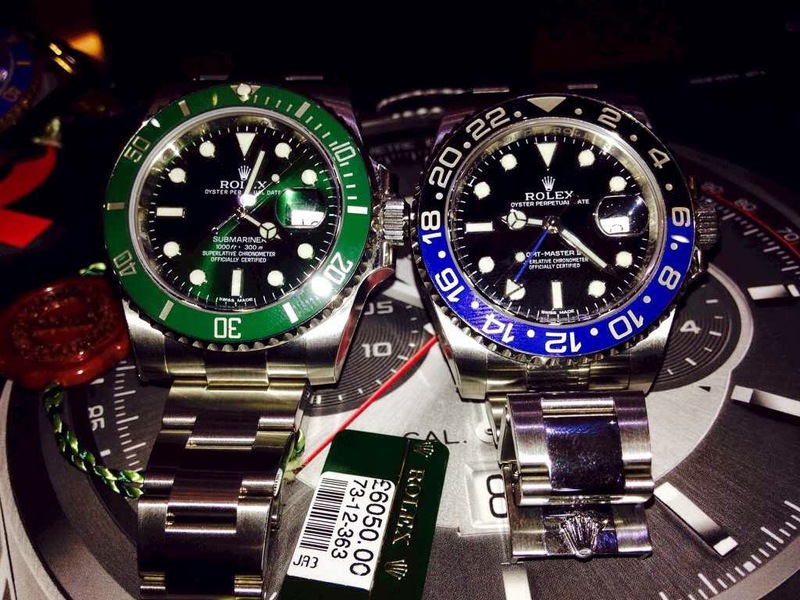 I am contemplating between rolex green hulk and batman. 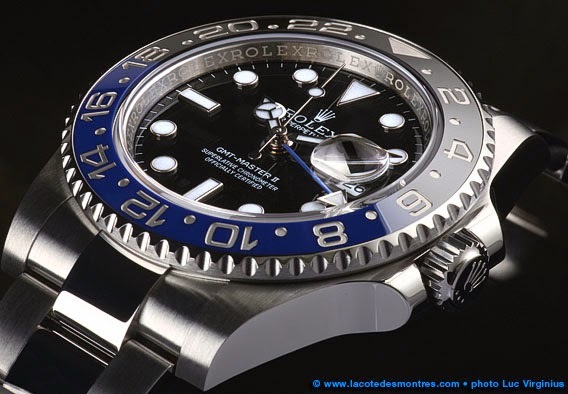 Its common to have certain model of rolex to be nick named. 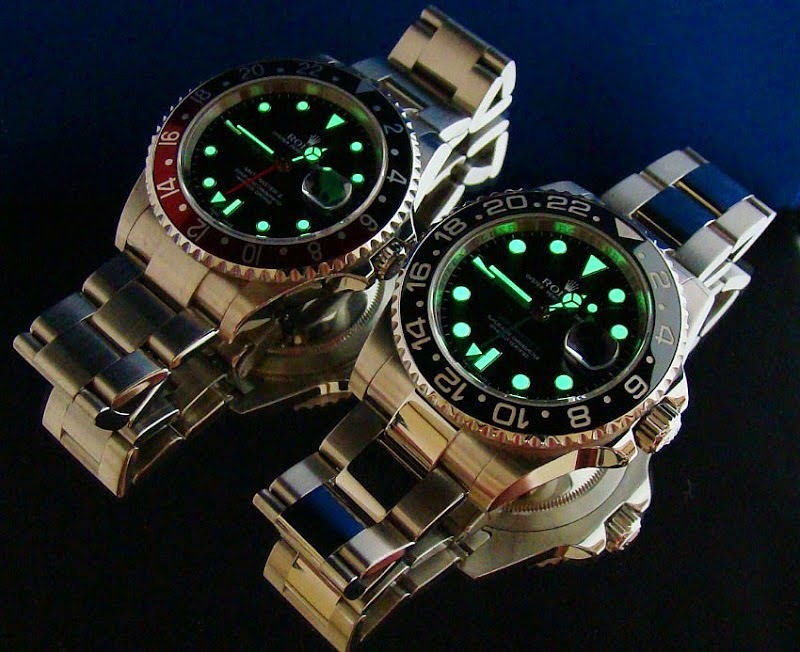 Just like the one on the left, is submariner 116610LV which is know as the "green hulk" and on the right is GMT 2 day and night 116710BLNR often known as "Batman". Currently if you were to visit rolex outlet there will be only 3 model going at premium price. Premium price basically means that the watch is selling at above recommended retail price. 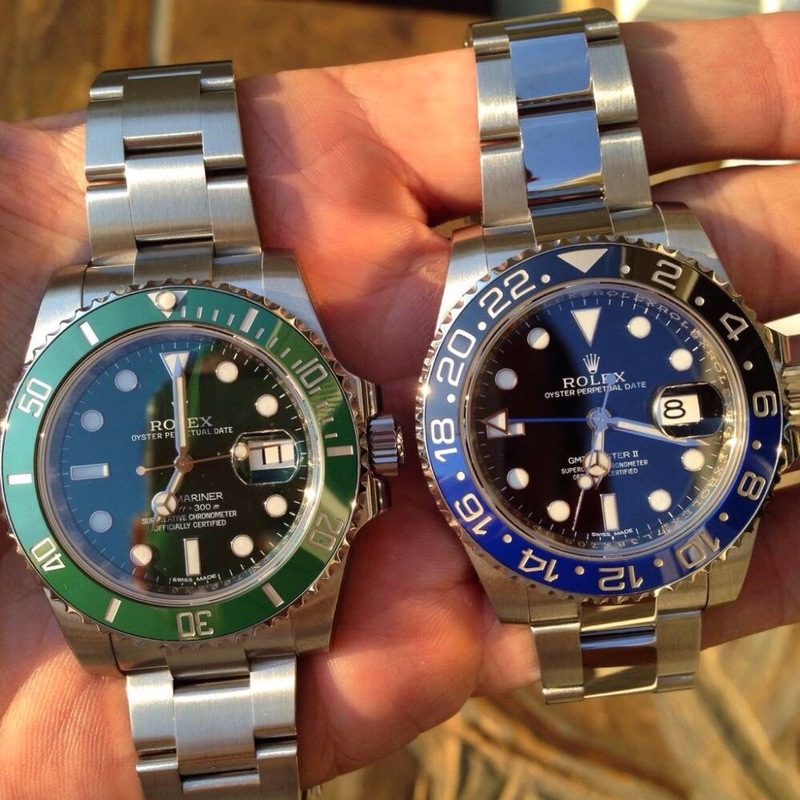 They are stainless steel daytona, green hulk and batman. There model watches do not have a discount yet is sold as amazing fast speed and customer normally need to be in the waiting list. Yes. 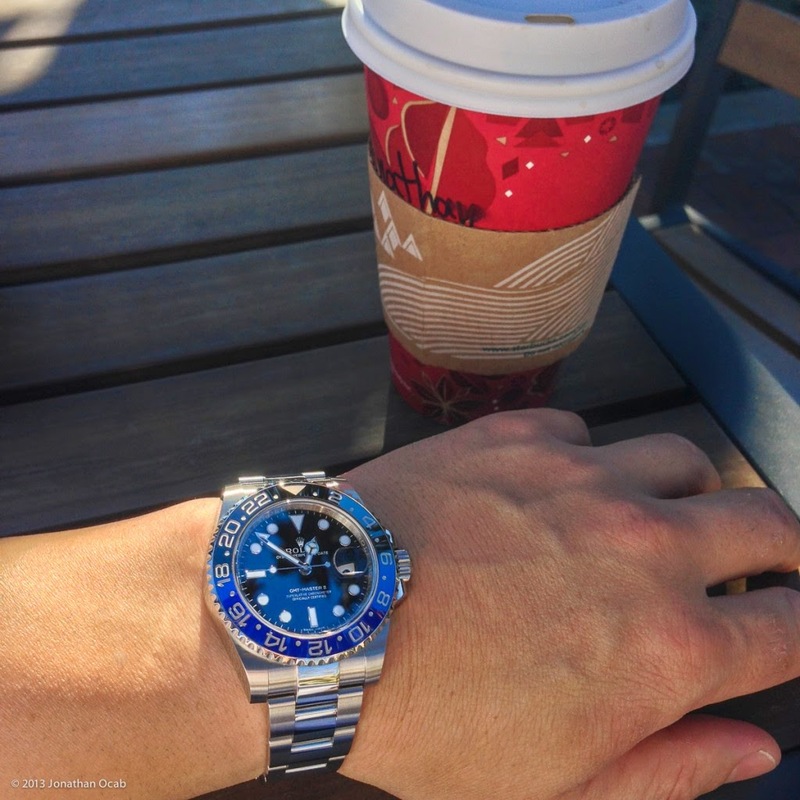 I am happily married to Daytona stainless steel black face which is considered the most desirable rolex and a collectors must have. You are never wrong with Daytona SS. The saying goes, "You are always on time, even when you are late." 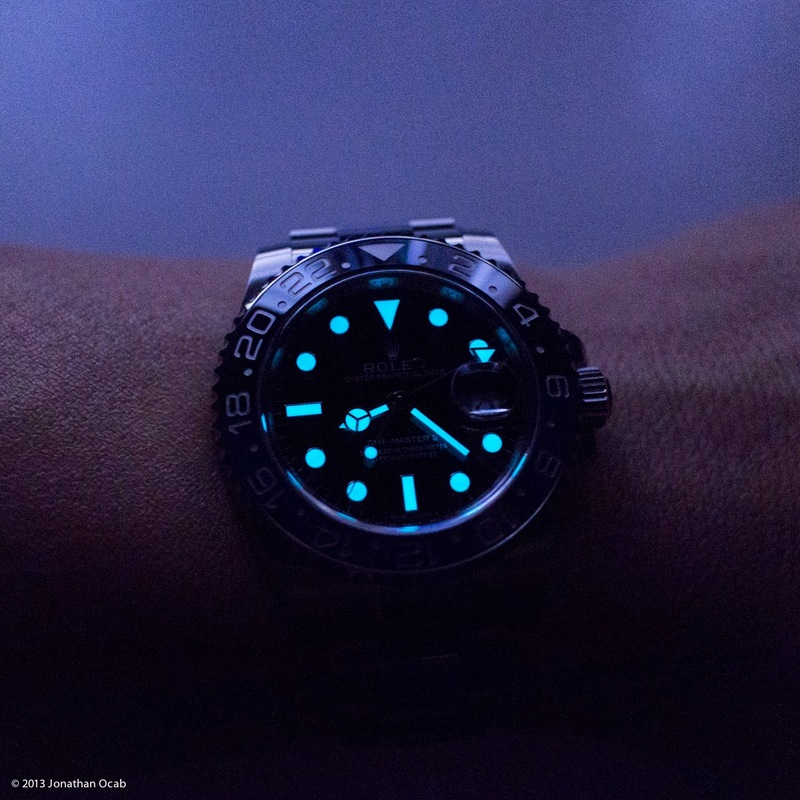 After comparing between the next 2 premium watch, I am more keen towards rolex day and night aka batman even the price is still very rocky due to the watch is only 2 years into the market. Green hulk had price had been stably on the rise for the past 6 years. I am going to thun on the batman. This 2013 new watch is famous as it first employ the technology to get the 2 tone color on the bezel. The luminous light grow in the dark with blue or green light. Beauty!! And it kind of goes well in any season. Causual, corporate and relax. There are a lots of good review going around on this watch and I am sure I would not regret on this purchase. Honourable mention.. 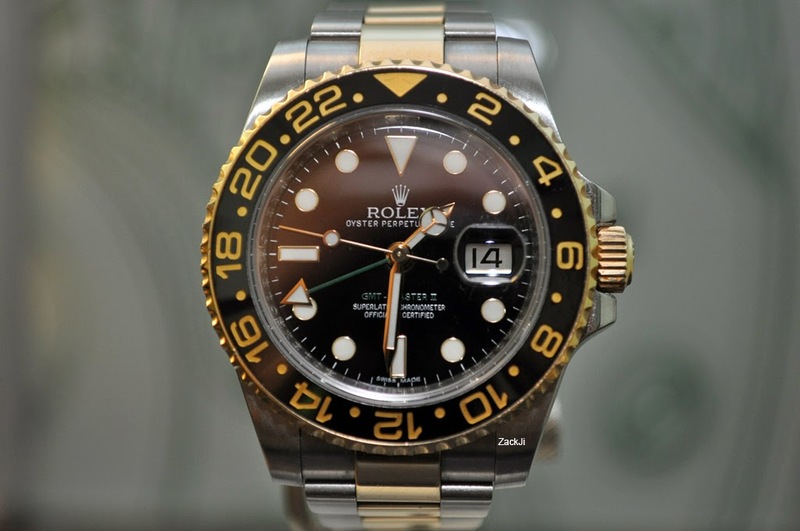 The GMT 2 also comes in half gold two tone which is very very attention sleeking. I would buy this if I looks good in gold. But too bad I do not.